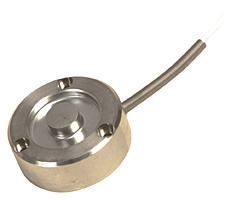 The LCGB Series comprises miniature low-profile compression load cells with excellent long-term stability. An all stainless steel construction ensures reliability in harsh industrial environments. These cells are designed to be mounted on a flat surface using cap screws to secure them to the base. A load button is integral to their basic construction for even force distribution. Nota: All LCGB series load cells come with 5 point NIST traceable calibration certificate.